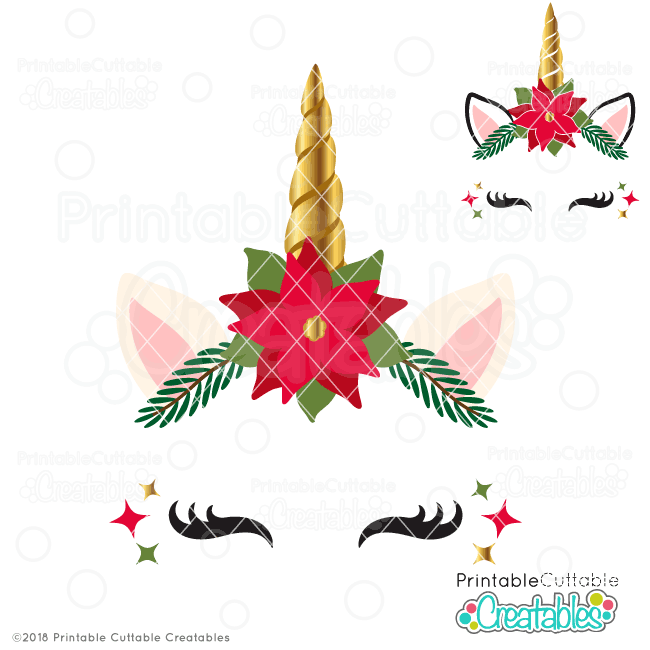 My popular free unicorn is back, and this time, she’s brought some festive friends! 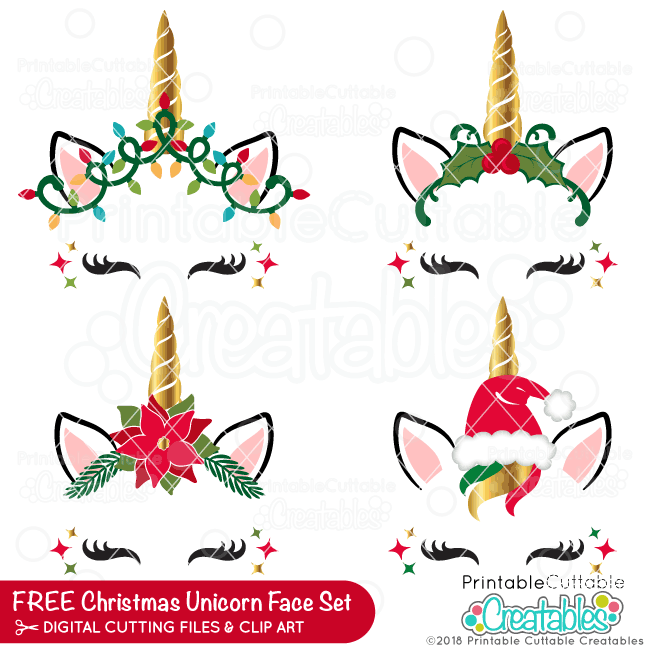 This Christmas Unicorn Face Free SVG Bundle includes 4 different Christmas Unicorn Face SVG designs! 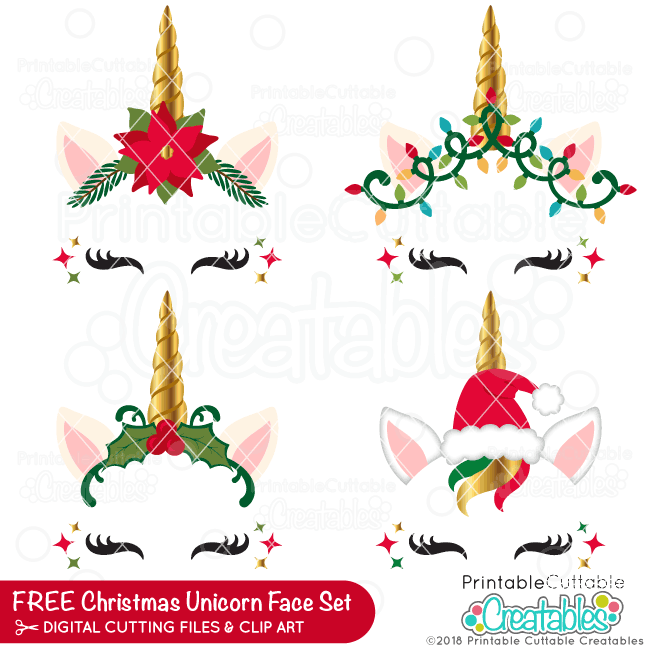 This Christmas Unicorn Face Free SVG Bundle is perfect for cute Christmas scrapbooks, handmade Holiday cards and so much more! 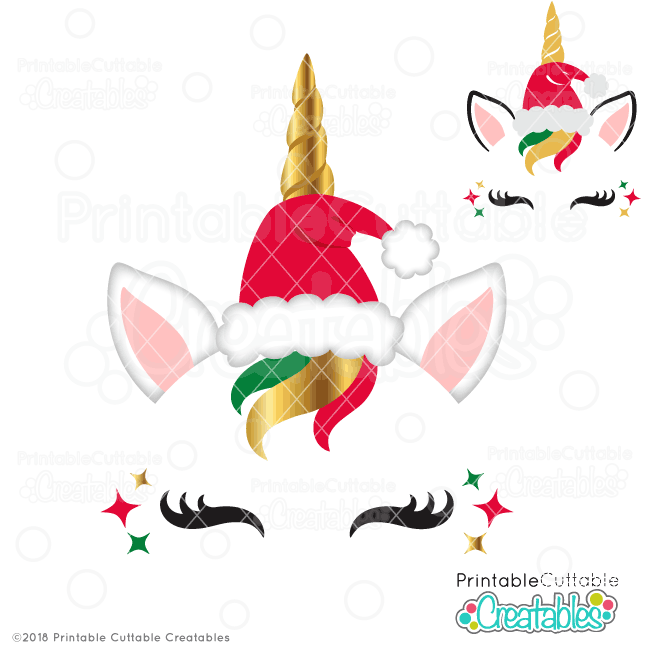 This free unicorn SVG bundle also includes vinyl-friendly versions perfect for HTV Christmas t-shirts, canvas tote bags, tumblers, and more! 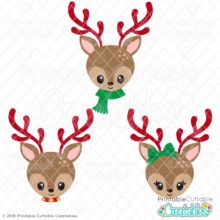 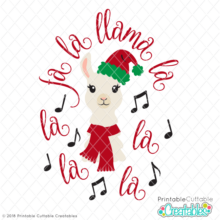 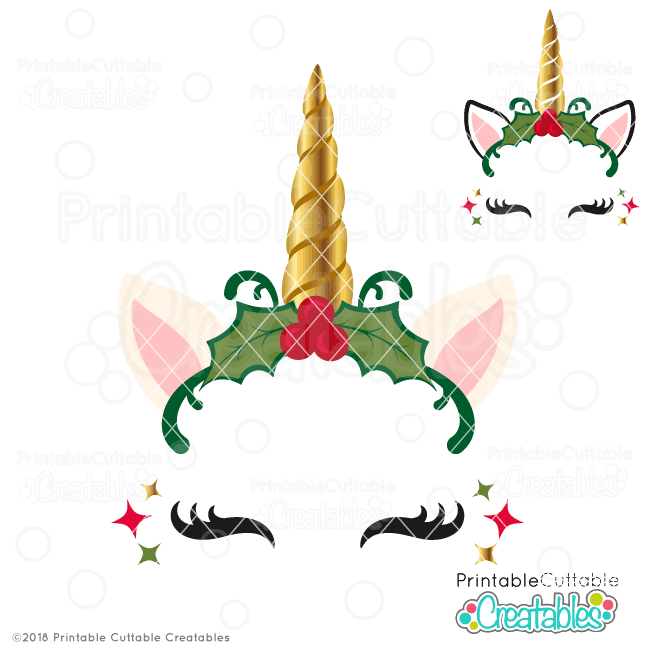 I’ve also included assembled versions of the Christmas Unicorn Face Free SVG Bundle, perfect for Print & Cut stickers, or Cut by Color projects on your Silhouette Cameo / Portrait, Cricut Explore, or other electronic cutting machine that supports a Print & Cut feature with no tracing needed! 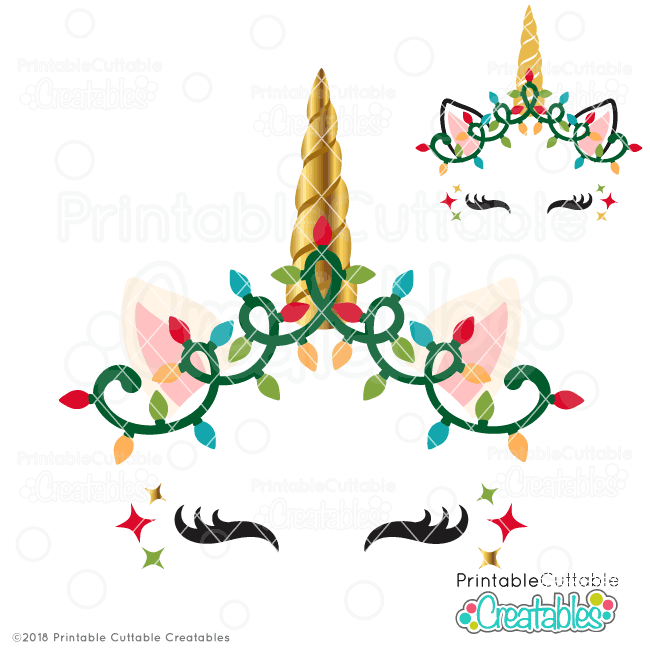 Also included are 8 high resolution 300dpi PNG Christmas Unicorn Face Free Clipart Set with transparent backgrounds, ideal for printable wall art, and other printable projects! 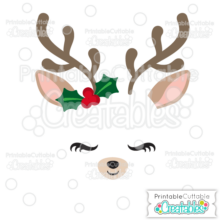 The Christmas Unicorn Face Free SVG Bundle also makes great vector design elements for web and graphic design projects and are compatible with Adobe Illustrator, CorelDraw, Inkscape, and other vector programs that open SVG files.